Tony was born on August the 15th, 1946 in Hackney, East London. His first school was Woodford Green Preparatory School, then he attended Wanstead County High Grammar School. He made his stage debut when still at school, at the age of 12 in the original production of Oliver. The boy playing the Artful Dodger didnt turn up and Tony volunteered to take his place as there were no designated understudies. This was followed by numerous shows, films and TV appearances as a child actor. Tony passed 4 'O levels ( History, Geography and both English Language and English Literature) and went on to do A levels, however he decided that wasnt for him and chose to go to drama school. He was too young to go to RADA but got a place at the Central School of Speech and Drama. After leaving he spent several years in rep and worked for two years as a theatre director before joining the Chichester Festival Theatre. 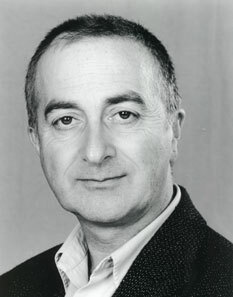 Tony did various television appearances before getting his big break in landing the part of Baldrick in Blackadder. Tony presents Channel 4's archaeology series "Time Team", and played Baldrick in "Blackadder". He also devised and wrote four series of the BBC's "Maid Marian and Her Merry Men" in which he played the Sheriff of Nottingham. He recently made two series of The Worst Jobs In History, and earlier this year a documentary about the elderly entitled Me and My Mum. His first professional appearance was at the age of thirteen in the original version of the stage musical "Oliver!" This was followed by a number of shows, films and TV appearances as a child actor. After training at the Central School of Speech and Drama, he spent several years in rep, and worked for two years as a theatre director, before moving on to the Chichester Festival Theatre, the RSC and the National Theatre. It was around this time that he made his first notable television appearance as the cerebral palsied Ernie Roberts in Horizon's award-winning documentary "Joey". He has had lead roles in numerous television series including Channel 4's cult sketch show "Who Dares Wins" and ITV's sit-com "My Wonderful Life". As a writer of children's television programmes he has won two Royal Television Society awards, a BAFTA and the International Prix Jeunesse. His childrens work includes thirty episodes of Central TV's "Fat Tulip's Garden", a thirteen-part BBC series based on Homer's Iliad and Odyssey called "Odysseus  the Greatest Hero of Them All", and twenty six episodes of his Old Testament series "Blood and Honey". His three most recent books for adults are "The Worst Jobs in History", "Archaeology is Rubbish  A Beginner's Guide", co-written with Professor Mick Aston, and 'In Search of British Heroes'. He has also written eighteen children's books, including "Tony Robinson's Kings and Queens", and in 2005 The Worst Childrens Jobs in History. He has made many TV documentaries on such subjects as The Peasants Revolt, the Roman Emperors, Macbeth and Robin Hood, and most recently three programmes on the place of myth in the twenty first century. Two of these The Real Da Vinci Code and The Doomsday Code have now been transmitted, the third will be shown in 2007. Thirteen new episodes of "Time Team", three Time Team documentaries and a live four-day televised dig are to be made in 2007, along with six episodes of his new Channel Four series set in the British Museum called Codex. He has toured his one-man stage show "Tony Robinson's Cunning Night Out extensively over the last three years, including a series of sell-out performances at this years Edinburgh Festival. A further tour is planned for 2007. He is putting the entire works of Terry Pratchett onto audiotape. 41 titles have so far been completed. From 1996  2000 he was Vice-President of British Actors Equity and is currently President of the Young Archaeology Club. From 2000  04 he was a member of the National Executive Committee of the Labour Party. He has been awarded Honorary Doctorates by Exeter University, Oxford Brookes, and the Open University, and Honorary MAs by Bristol University and the University of East London.